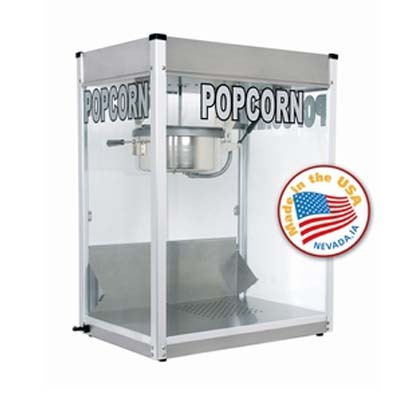 Professional Series 16 oz Popcorn Machine - J.D. 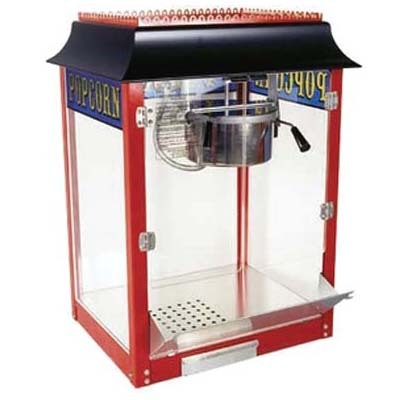 Honigberg International, Inc.
he Professional Series 16oz popcorn machine operates on a 30 amp 120 Volt circuit (You need a NEMA Style 5-30R Outlet). 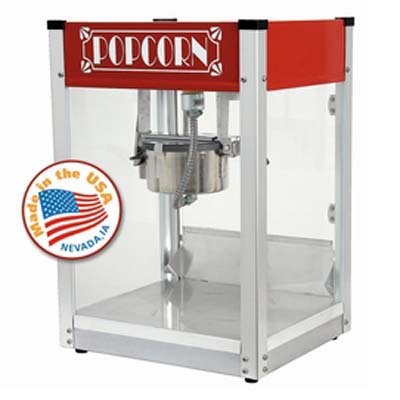 This machine is ideal to use in schools or any environment that needs lots of popcorn. This popper will produce 295 servings per hour. 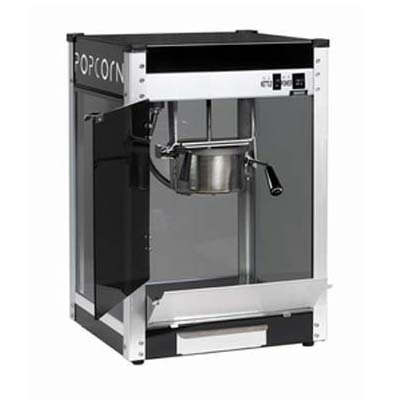 This full-feature popcorn machine uses a gas spring assisted kettle for easy unloading, four-switch operation, kettle “ready” lights and a Hard-coat anodized aluminum kettle for superior performance and ease of cleaning. 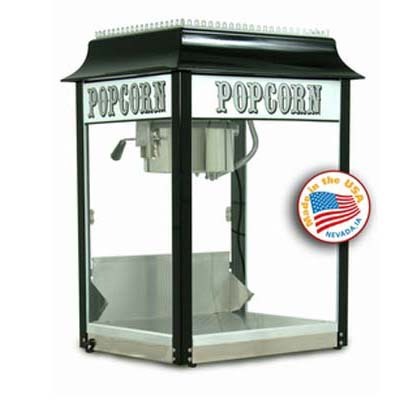 The heated warming deck will keep popcorn warm and fresh for long periods of time. One serving will produce enough popped popcorn to fill approximately sixteen 1-oz bags.